In October 1993, my great-uncle Lamar died of complications from AIDS. He was 48. He was a Fulbright Scholar in West Germany, a PhD student at Johns Hopkins, a professor at Vassar College, and an expert in German wines in New York. Lamar sang 'The Lord's Prayer' at my parents' wedding from a balcony above the pulpit. He sung so beautifully that my father's mother remembers it as proof that the marriage was to be a happy one. My mother goes speechless when she remembers it. 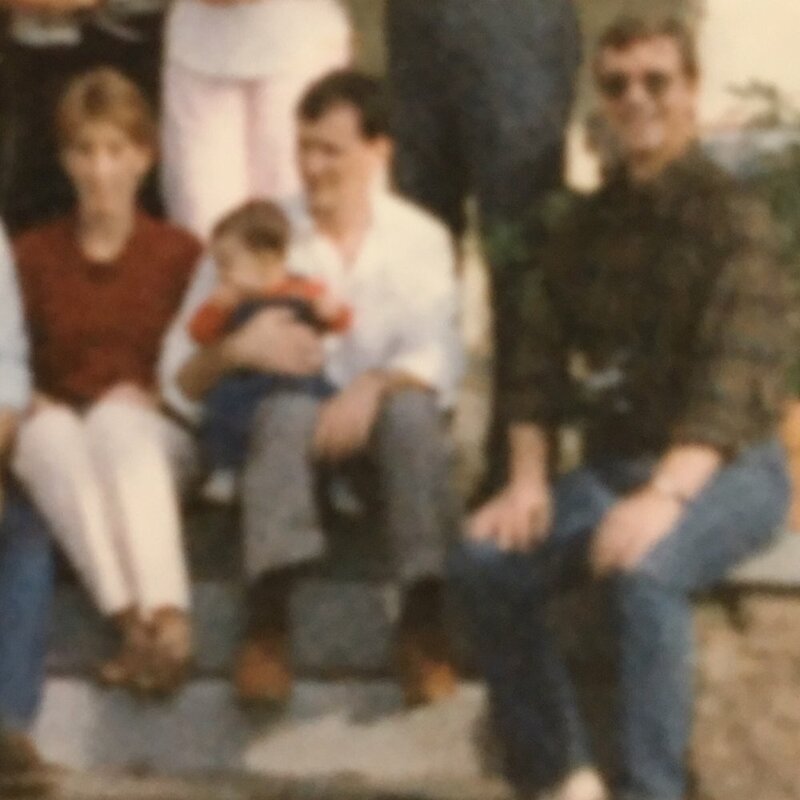 Lamar and I appear together in a photograph, taken in late 1985, of my mother's family; I am in my father's lap and he is next to us, smiling at the camera (or perhaps at the man behind the camera: Allan, his partner). In April 1993, shortly before his death, Lamar sent me a book with the note 'I love this book. I think you will too'. I have no memory of meeting Lamar, but I grew up constantly aware that we had some mysterious, not-quite-hereditary, connection. It explained why I wanted to sing, dance, and write instead of play football; it determined why I should learn German instead of French. When I came out, my mother's response was, calmly: 'Yes, of course. You are Lamar'. This book is an autobiography of Lamar: it is how I became Lamar, and how I have discovered and lived with the fortune of this inheritance -- but it is also about how Lamar died far too soon, and the infinite losses that remain tethered to his afterlives. This book asks about the queer things we inherit, how we find them in the rubble left from a plague or hidden in fragments and in codes, and what it means to find that the 'families we choose' might be the families we have had all along. More importantly, it is about a longer history of queer men and women imagining their genealogies backwards, to find the distant aunts and uncles whose lives might offer ways to live in the present. While tracing my own, imagined, relationship with Lamar, I trace writers and artists who longed for their own queer ancestors: from Edward Carpenter to E.M. Forster, Djuna Barnes, Christopher Isherwood, and Samuel Delaney. I also trace writers and artists who longed for the future beneficiaries that they or their lovers would never live to meet: Derek Jarman, Paul Monette, James Baldwin, Sarah Schulman, Mark Doty, and, maybe, Lamar himself.